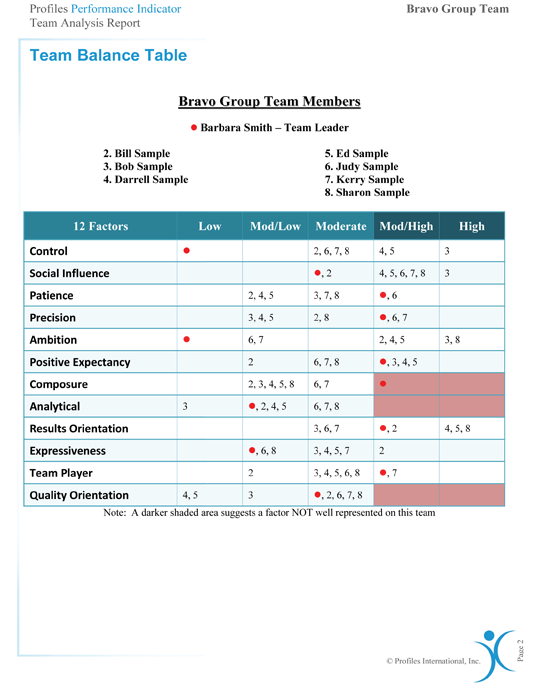 The PROFILES PERFORMANCE INDICATOR™ is used primarily for motivating and coaching employees, and resolving post-hire conflict and performance issues. The PROFILES PERFORMANCE INDICATOR™ is a DISC personality style employee performance assessment test. 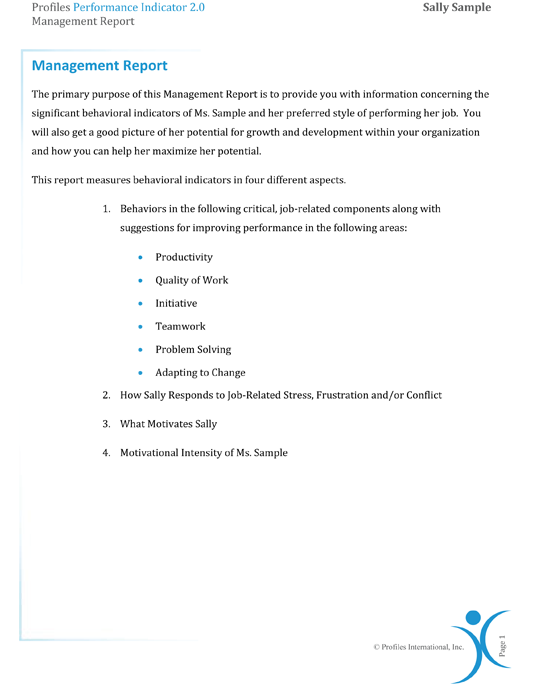 The employee performance report this test provides can be used to manage employee performance in order to make every employee more valuable and productive. The reports help you understand how an individual can be understood, motivated, and managed so that you can improve job performance. 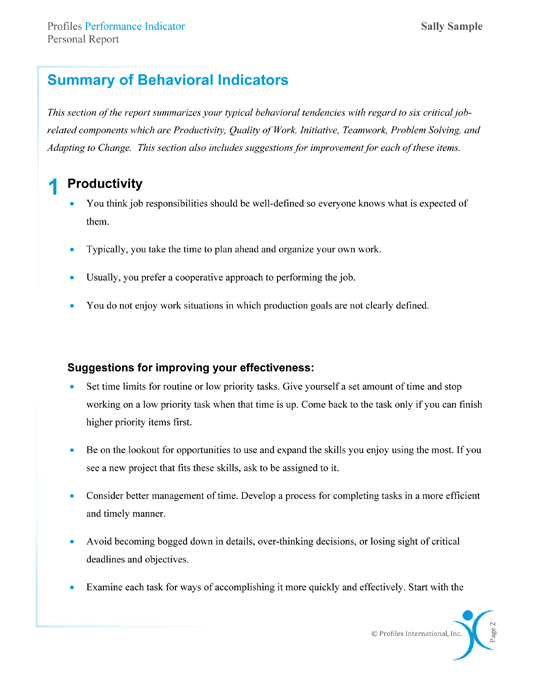 The PROFILES PERFORMANCE INDICATOR™ also provides recommendations for improving employee performance. Recommendations include: how to respond to job-related stress, frustration and conflict; how to stimulate employee motivation; how to conduct effective performance appraisal; and how to determine whether the employee is internally motivated or will need external stimulation. 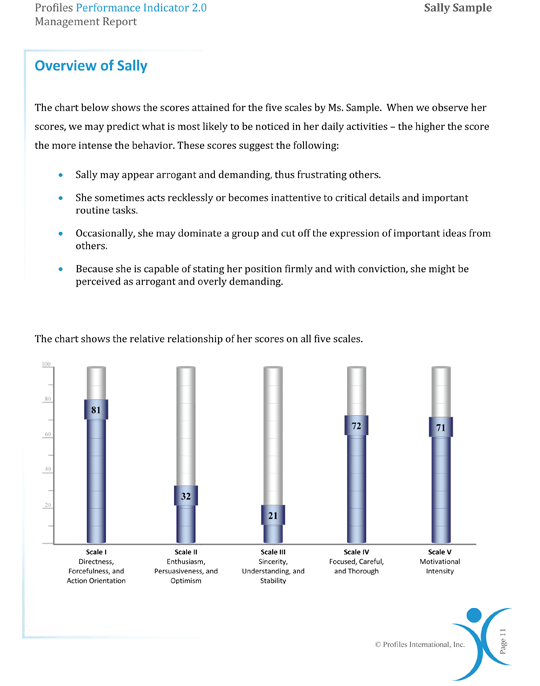 The PROFILES PERFORMANCE INDICATOR™ is used to understand employees’ behavioural characteristics and to use this knowledge to increase performance of employees. Provides the employee with a guide for self-improvment and illustrates the employee's behavioural tendencies. Useful for the manager to show the employee. Provides an illustration of the five categories measured.